Tamaru is originally from England, but spent many years in USA studying and working as a plant ecologist. 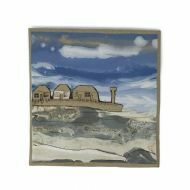 Whilst there she started making ceramics and was immediately captivated by clay and its possibilities. She now lives in Galway and works as a ceramicist. 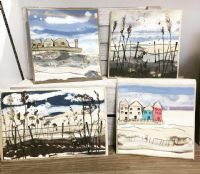 Inspired by Ireland’s beautiful west coast, she uses texture, relief and liquid clay; both natural and stained to capture botanical images and landscapes.